Mortons very own Steve Bell has been personally thanked for helping a Neighbour in the early hours of last week. Bernie Hunt wrote in to the Liverpool Echo expressing her gratitude after Steve aided an elderley Lady wandering the Streets of Kensington, back to her home and family, unharmed. 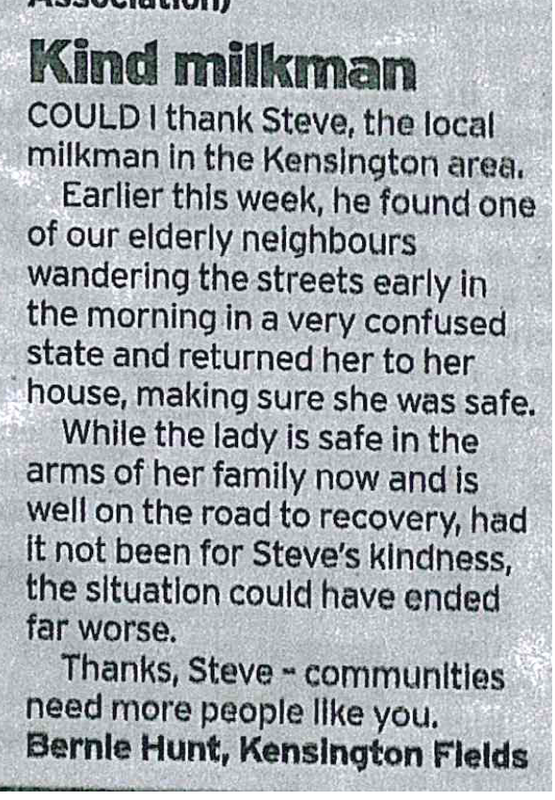 We would like to thank Bernie for writing in to the Liverpool Echo and are very proud to have someone in Steve, who's generosity and kindness, helped this lady in her hour of need.